A ten-year-old boy was failing math. 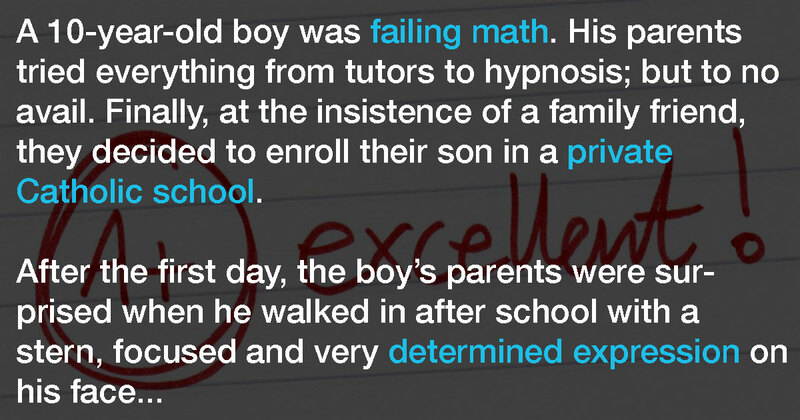 His parents tried everything from tutors to hypnosis; but to no avail. Finally, at the insistence of a family friend, they decided to enroll their son in a private Catholic school. After the first day, the boy’s parents were surprised when he walked in after school with a stern, focused and very determined expression on his face. He went straight past them, right to his room and quietly closed the door. For nearly two hours he toiled away in his room with math books strewn about his desk and the surrounding floor. He emerged long enough to eat, and after quickly cleaning his plate, went straight back to his room, closed the door, and worked feverishly at his studies until bedtime. 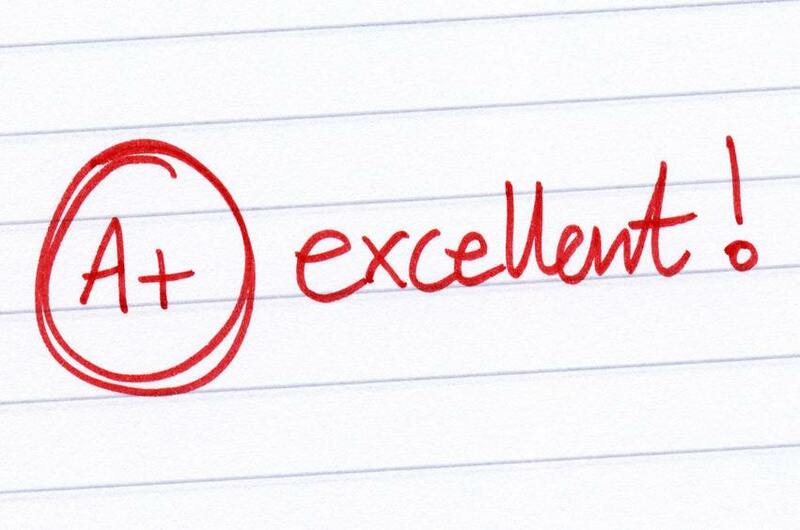 This pattern of behavior continued until it was time for the first quarter’s report card. The boy walked in with it unopened, laid it on the dinner table and went straight to his room. Cautiously, his mother opened it and, to her amazement, she saw a large red ‘A’ under the subject of Math. Overjoyed, she and her husband rushed into their son’s room, thrilled at his remarkable progress.